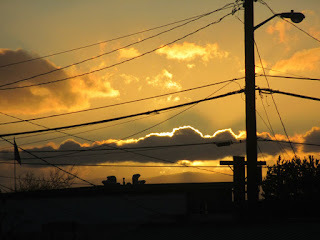 Editorials from Theslowlane: Sunset among the utility lines. Artistic in its own way. Sunset among the utility lines. Artistic in its own way. A recent sunset among the streetlights and wires near where I live.